Following Storm Desmond and flooding across the County in December 2015, the Big Lottery Fund announced a £1 million package to help Cumbrian communities become more resilient and to support local people, communities and organisations to prepare for similar events in the future. Rebuilding Together, a 3 year programme, now in it’s third year, is led by Cumbria CVS and delivered in partnership with Cumbria Action for Sustainability (CAfS) and Action with Communities in Cumbria (ACT) – three local charities with a long history of working together to support communities and organisations across Cumbria. The programme started in October 2016. As part of the programme, Cumbria CVS is working with local charities and voluntary and community organisations to build resilience. Groups and organisations are being encouraged to develop emergency and business continuity plans for their own organisations, and to consider how they can help the people they work with to plan for emergencies. The project is also linking these third-sector organisations to Cumbria Resilience Forum, (which consists of all organisations and agencies involved with emergency response in our communities) helping them to understand the county’s emergency plans and ensuring they can continue to play a key role supporting the statutory sector in the response to and recovery from emergencies. Another key area of work is with volunteers. The 2015 floods saw an overwhelming number of people offering to volunteer their time to help in Cumbria. Between local people and incoming groups, over 50,000 hours of volunteer work were accounted for in the first couple of months. The project has been exploring how best to coordinate these volunteers in the event of subsequent emergencies, and has provided training and support for a number of volunteer led response groups around emergency planning, running a reception centre and first aid. 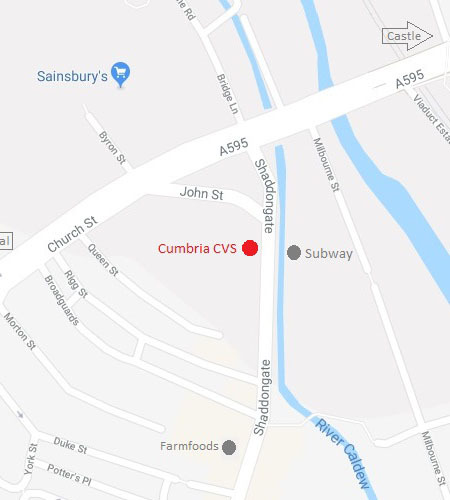 If you are a member of a group or organisation and feel you would benefit from developing emergency or continuity plans or are a local emergency response group in need of training, please do get in touch by email at info@cumbriacvs.org.uk or telephone 01768 800350. When The Waters Rise is a film produced to highlight the personal stories of some of those affected by flooding in Carlisle. Watch it here!